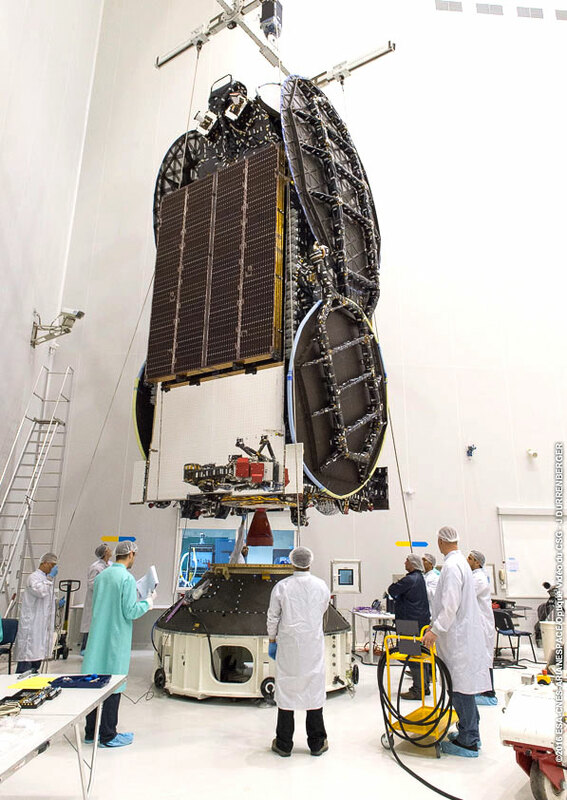 The EchoStar XVIII satellite for Arianespace’s next dual-passenger Ariane 5 mission is undergoing its pre-launch checkout at the Spaceport for a June liftoff from French Guiana. As part of this activity, the spacecraft underwent its fit-check – an initial milestone validating the satellite’s compatibility with the adapter that is to serve as the payload interface with Ariane 5. EchoStar XVIII undergoes a fit-check with the interface adapter used for integration on Arianespace’s Ariane 5 launcher. EchoStar XVIII was designed and built for DISH Network L.L.C. ; the satellite will augment DISH’s existing fleet, assuring the highest level of ongoing service to DISH customers. 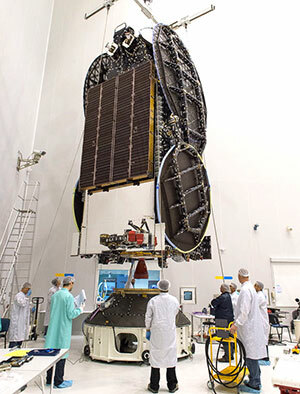 Based on the 1300 satellite bus produced by SSL, EchoStar XVIII is one of two passengers built by the company that will be deployed into geostationary transfer orbit by the upcoming heavy-lift Ariane 5 mission – designated Flight VA230 in Arianespace’s launcher family numbering system. It will be joined by BRIsat, a dedicated relay platform for Indonesia’s PT. Bank Rakyat Indonesia (Persero) Tbk. to deliver banking connection services across the Indonesian archipelago. Arianespace’s Flight VA230 is one of up to 12 missions planned during 2016 with the company’s launcher family of the heavy-lift Ariane 5, the medium-lift Soyuz and lightweight Vega. So far this year, Arianespace has performed three launches: Ariane 5 missions on January 27 (with Intelsat 29e) and March 9 (orbiting EUTELSAT 65 West A), as well as a Soyuz flight on April 25 that lofted a five-satellite payload consisting of Sentinel-1B, Microscope and three Fly Your Satellite! CubeSats. 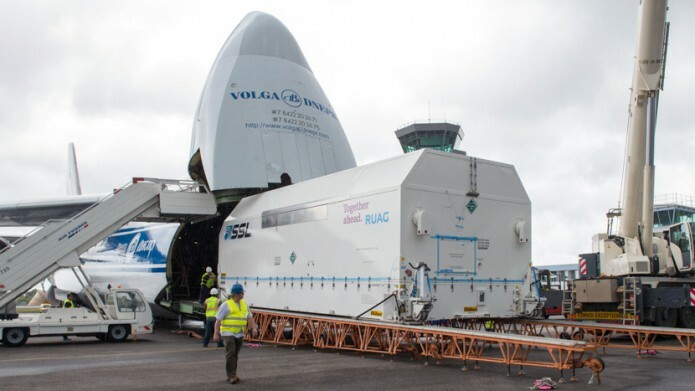 Flight VA230 in June will be preceded by Arianespace’s May 24 launch of a Soyuz, which will carry two more satellites for Europe’s Galileo satellite-based navigation and positioning system.